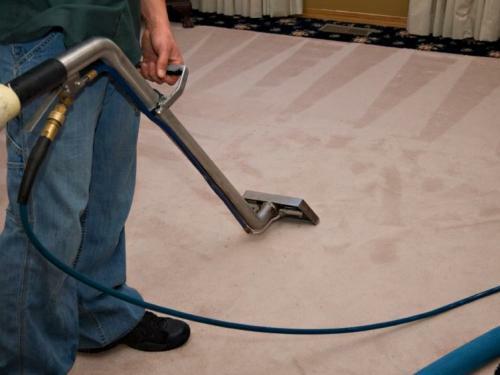 At one time or another, you will need to hire professionals to clean your carpet. You may have used stain guard on your carpet after installing it, vacuumed it regularly, and promptly removed spots, but you’ll still need to have it deep cleaned at least once every year. You can choose to do your own steam cleaning, but if you’re like most people, you have neither the time nor the interest in doing this daunting task. Hiring carpet cleaning professionals is a far much better option. However, choosing a cleaning service is not easy because of the sheer number of companies in the market. So how do you go about it? Below are some considerations you should make when looking for the right carpet cleaning company. It is imperative that you consider the reputation of prospective cleaning companies. The company is going to have access to your home, so you need to confirm that they are well-known and trustworthy. You want to be sure that the company provides high-quality cleaning services. Well-reputed cleaning companies are keen to maintain a good track record and are therefore most likely to do a good job. Avoid making the mistake that most homeowners do when hiring carpet cleaning services: focusing only on the price. The company’s experience is among the most important things you should consider to determine whether the professionals have the skills needed to effectively deep clean your carpet. The last thing you want is inexperienced cleaners mishandling your expensive carpets. In order to clean your carpets effectively, the cleaning company needs to use the proper equipment. Find out what equipment the cleaning company uses and research on whether the equipment is right for your carpet. You want to hire a cleaning company that uses modern equipment that is safe and effective. Hire a cleaning company that offers a guarantee for their cleaning services. There have been a number of cases where the carpet looked great after the cleanup only for it to be damaged because the company used cleaning agents that were too strong. In other cases, the carpet becomes dirty after a few days as a result of the cleaning company using subpar cleaning techniques. The aim of hiring a cleaning company is to undertake deep cleaning that will leave the carpet clean for a reasonably long time. Hire a cleaning company that offers a guarantee so that you can have them redo the job if you’re not satisfied with the result. Read online reviews of carpet cleaning companies to find out what previous customers have to say about them. Doing so will enable you to learn about the quality of services the companies provide, how reliable they are, how good their customer service is, etc. By keeping the above factors in mind, you stand the best chance of hiring a cleaning company that will do a good job at cleaning your carpet at the most affordable price. Mark J. Smith has worked as a professional carpet cleaner in the home maintenance industry for 13 years. He has written numerous articles and blog posts about home maintenance and repair-related topics, including hiring top carpet cleaning services.